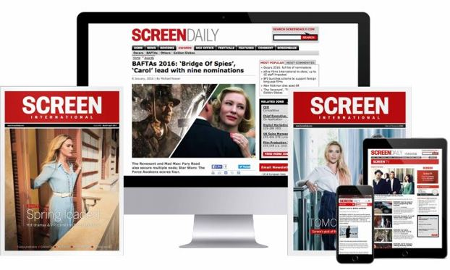 ScreenDaily’s weekly round up of the local and independent release in key markets. Jordan Scott’s directorial debut Cracks gets a nationwide release through Optimum Releasing from Friday (December 04). The UK-Ireland production stars Eva Green as a flirtatious young teacher at all-girls boarding school in the 1930s. The film reaches France on December 30. UK horror sequel The Descent: Part 2 goes out nationwide, although previews started December 2. Warner Bros/Pathe distribute Jon Harris’ film, which continues the story of Sarah Carter (played by Shauna Macdonald), the only survivor of a pot-holing expedition gone disastrously wrong. Best Foreign Language Oscar-winner Departures gets a limited release through Arrow Films, before expanding in January. Yojiro Takita’s film follows an unemployed cellist who takes a job preparing the dead for funerals. The latest in Luc Besson’s animated Arthur series was released on Wednesday bringing in 282,122 admissions on a huge 925 screens. Arthur Et La Vengeance De Malthazard is based on the book series by Besson and also marks the mogul’s latest directing effort. The French version stars the voices of Mylene Farmer, Fred Testot, Gerard Darmon and Snoop Dogg. Freddie Highmore, Mia Farrow and Robert Stanton are among the English-language cast. John Hillcoat’s Oscar hopeful The Road was released on Wednesday for a take of 24,631 admissions on 201 screens. Metropolitan Filmexport handled the release of the Viggo Mortensen vehicle set in an apocalyptic future. Kodi Smit-McPhee and Guy Pearce also star. French film La Sainte Victoire also opened on Wednesday selling 10,082 tickets on 200 screens. The thriller stars Clovis Cornillac, Christian Clavier and Sami Bouajila in the story of a small time architect with delusions of grandeur. Mars Distribution is handling the film in France. La Sainte Victoire was written and director by Francois Favrat, who last directed Le Role De Sa Vie in 2004. Warner Bros. continues its run of local releases with the nationwide blanket launch of actor-producer-director Til Schweiger’s Zweiohrküken, the sequel to his 2007 romantic comedy smash Rabbit Wihout Ears (Keinohrhasen). Zweiohrküken, which reunites Schweiger with Nora Tschirner and Matthias Schweighöfer, provoked howls of protest from the German Film Critics Association (VDFK) when Warner Bros did not organise any official press screenings of the film ahead its theatrical release. Sergei Dvortsevoy’s Tulpan is going out on limited release in 12 cities through Pandora Films. The semi- documentary received the Prix Un Certain Regard at last year’s Cannes and has since became a favourite on the international festival circuit. French director Sophie Laloy’s Je Te Mangerais is opened by Salzgeber at selected cinemas in Berlin, Düsseldorf, Freiburg, Munich and Leipzig. The film, a cross between a psychological thriller and amour fou, will widen to cinemas in Cologne, Dresden, Nuremberg and Regensburg. Local outfit Aurum is releasing college girl horror Sorority Row from director Stewart Hendler this week. The film has already made $12m in the US and $4m international, although the majority of that came from the UK. However, Spain is known to have a strong predilection for horrors and so Hendler’s film about a group of sorority sisters stalked by a serial killer could fare well in the territory. Local director Javier Ruiz Caldera’s comedy Spanish Movie could prove one of the surprise big hits at the box office this year. Backed by Telecinco Cinema, the film stars none other than Leslie Nielsen alongside Spanish directing legends such as Alejandro Amenabar and Alex De La Iglesia. It is a spoof of all the recent local hits, including Amenabar’s The Others and The Sea Inside. Armando Iannucci’s political comedy drama In The Loop hits Spanish screens on 35 copies through Avalon this weekend, having taken an impressive $3.5m in the UK. The distinctly British story revolves around the progress of a fictional Secretary of State for International Development and his staff as they deal with the prospect of war in the Middle East. Renowned Argentinian director Carlos Sorin’s latest moving drama The Window (La Ventana) about a day in the life of an aging bedridden writer had a relatively quiet reception at Toronto, where it world premiered. However, Sorin has a good following in Spain and his previous films have won several awards at the San Sebastian. Local distributor Nirvana should see the film push towards the $1m mark.